No other casting information has been revealed about the upcoming Masters of the Universe movie. Noah Centineo is probably best-known for starring in Netflix's 2018 romantic comedy To All the Boys I've Loved Before and How to Build a Better Boy. He also has a role in the upcoming Charlie's Angels reboot, which may show off more of the young actor's action talents. It was previously rumored that Channing Tatum was in the running to take on the He-Man/Prince Adam role. David S. Goyer wrote a script for Masters of the Universe and was at one time rumored to direct. However, he later stepped away from the project and his script is being rewritten, though it is believed that he is staying on board to executive produce the movie. A lot of fans were disappointed to see Goyer exit the project since they were hoping he was going to throw some gritty magic on the character, which previously had a big screen adaptation in the late 1980s. While considered to be a cult classic these days, it was looked at as a giant flop back at the time of its release. 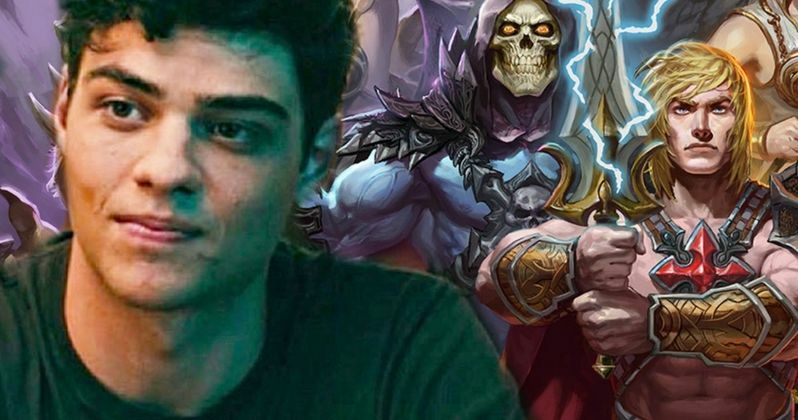 Former ILM artist Carlos Huante worked with David S. Goyer on his vision for Masters of the Universe and he thinks that it's a big mistake that the studio isn't working on his version any longer. According to Huante, the movie was going to be a huge epic in a Lord of the Rings-style. Huante also revealed that the movie was so big and dense that it probably could have been made into a trilogy. Hearing this information after the fact is a pretty big bummer. Hopefully Aaron and Adam Nee, along with Matt Holloway and Art Marcum can keep some of David S. Goyer's epic vision alive in their version of Masters of the Universe. For now, it's impossible to tell, but a gritty approach to the somewhat campy source material would be welcomed with open arms by fans who have been waiting for a redeemer from the 1987 original live-action movie. Now that the casting process is underway, we should get some more updates in the weeks to come that will hopefully shed some light on what we're going to see if and when the movie ever begins production. This news was first reported by The Wrap.